Donatella Versace presents a strong colorful collection. 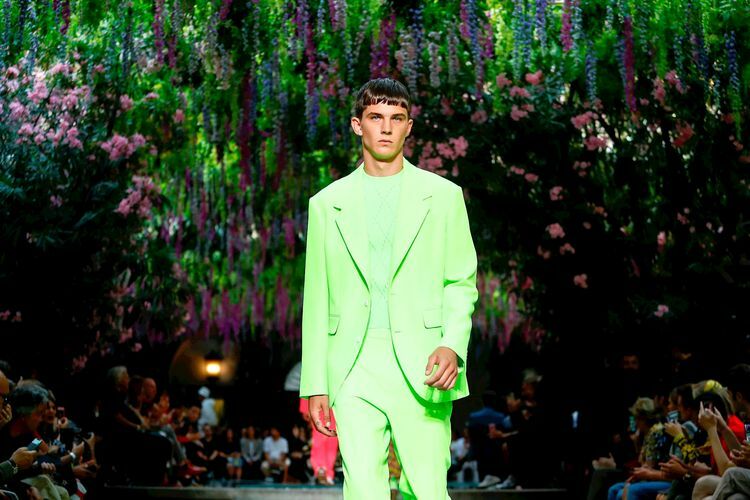 For Versace Spring/Summer 2019 Milan, Donatella trust in her gut to presents a powerful collection. She didn’t need the help of celebrities or influencers, she hooked up powerful top models. Just like Kendall Jenner in a Gioielleria print mini dress with crystal accents and heart neckline. It’s Versace and she knows it – the #VersaceSS19 collection plays with the perception of sensuality in a masculine context, so relevant that it can’t help but be gossiped about, from the tabloids to the streets.